An empty seat next to a foreigner travelling on a Tokyo train today was sat in despite an almost identical empty seat existing across the way. “I don’t like this strange feeling of not being noticed for who I really am – an absolute rock star that needs to be avoided at all costs because I may start speaking English randomly at any time,” said Dwight Costa. The seat across the way offered at least as much side space as the next-to-gaijin-seat, if not more – making the incident even more perplexing. Many foreign travelers have voiced concerns over a recent spate of being sat next to on public transport. “It’s almost as if I’m not special anymore,” said Costa. Some have taken the problem into their own hands by employing a slight man-spread, evoking feelings of apprehension for the lone seat seeker but slight enough to be indiscernible to anyone not engaged in the pursuit of seats. 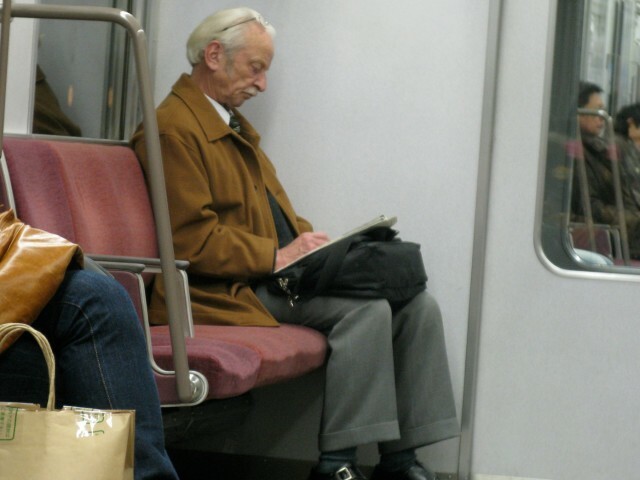 Many foreigners are unaware that they are even employing a man-spread and continue to credit spacious train trips to their menacing uniqueness.